,What Did Tomorrow Bring Us?’, 2001 is a slide projection of two digitally- manipulated separate photos of artist’s parents, followed by the sound of a river. It represents the Communist dream; a generation that was not asked to take personal decisions and be responsible for their lives. 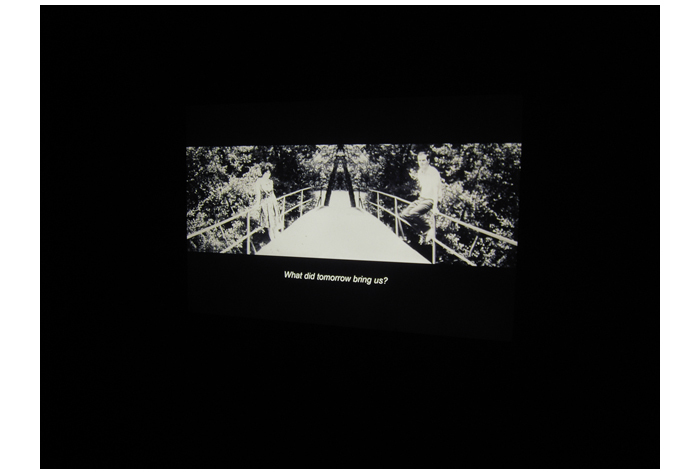 Conceptually, it deals with one encounter between the present time and the past moment of this couple, posing this paradox question. Dejan Kaludjerovic was born in Belgrade, ex-Yugoslavia. He graduated from the Academy of Fine Arts in Belgrade in 2001. In 2004 he received an MFA from the same Academy. He also studied at the School of Visual Art, New York in 1993- 94, and at the Academy of Applied Arts, Vienna in 2003/04.